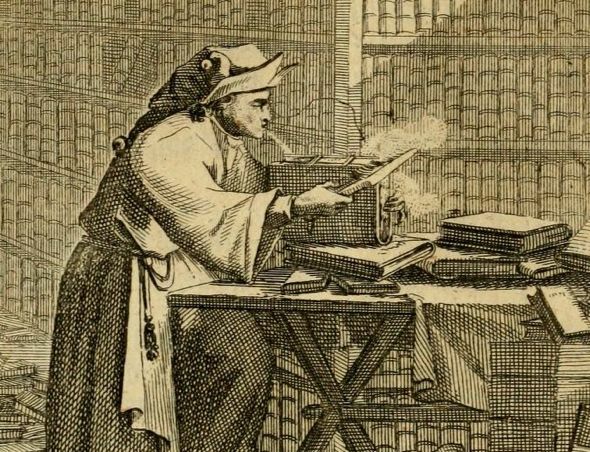 A somewhat archaic image of books for 1709, here a detail from the “Book Fool” is cleaning his books. The first rule of cleaning a book is observed; dusting before the book is opened. But all of the dust is falling onto other books. 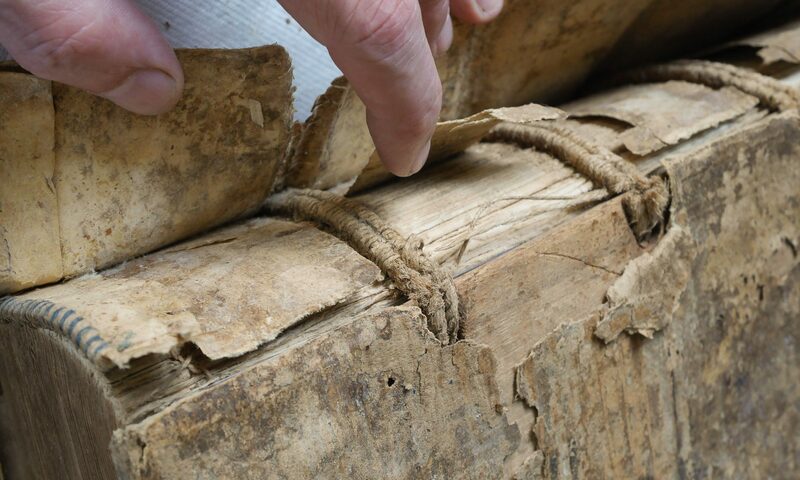 The clasps of this antique looking book keep the foreedge sealed, and a gentle breath seem and brush seem to clean head and foredge at the same time. This image is in Alberto Manguel’s new book, The Traveler, The Tower, and the Worm: The Reader as Metaphor. In the link to the image, there is also a poem in German. Any german speaking binders care to translate? ps. going to begin teaching binding etc. classes in Firenze in Jan 2014, hopefully, if it all comes together.